At first sight, the scandal at the Bucharest National Opera Ballet seems to have reached the end. In reality, this is just the beginning, because the explosion of xenophobia that has emerged only now cannot be ignored. I will start with a paradoxical praise: it is the Minister of Culture, Mr. Vlad Alexandrescu, who, with his tireless efforts in scratching even superficially the aberrations in his area of responsibility, has clearly proved that the film covering all the dirt is extremely fragile. One decision (and, in my opinion, a wrong one) was enough to make the pus of chauvinism of the Romanian musical world spring to the ceiling. The events unfolded quickly: Vlad Alexandrescu brutally changed the interim manager of ONB, George Călin, with Tiberiu Soare, who immediately started to show hostility towards the chief of the ballet, Johan Kobborg (the only major personality of the house). Kobborg defended himself by keeping silent, and his harassment was even more obvious. The Ministry felt the catastrophe approaching and moved Soare downwards, to a deputy position, bringing Vlad Conta to the front. 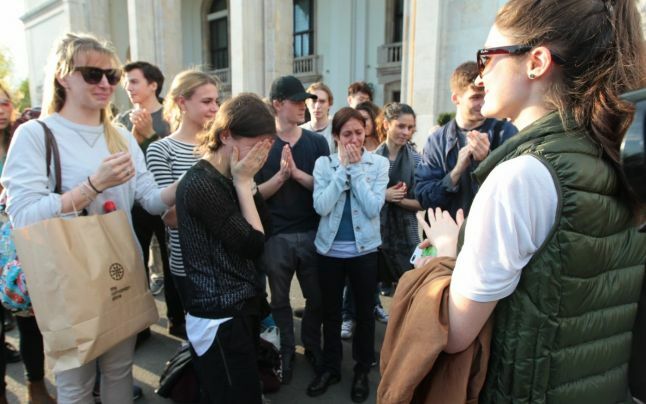 Nevertheless, the separation took place, and the stupid sacrifice of the ONB ballet became so obvious, that the tensions climaxed to the point where Tiberiu Soare’s supporters cried to the dancers: “Out of our country!”, precisely when they were saying good-bye to the great artist Alina Cojocaru, who had come in front of the Opera to comfort them. The photo of the crying dancers emotionally devastated the entire world. I could make a diluvian analysis of this sad story. But it is not necessary, because the effects of this week will be felt for a long time and we will all have many occasions to reflect upon these days. I find it more important to stress some very concrete issues. 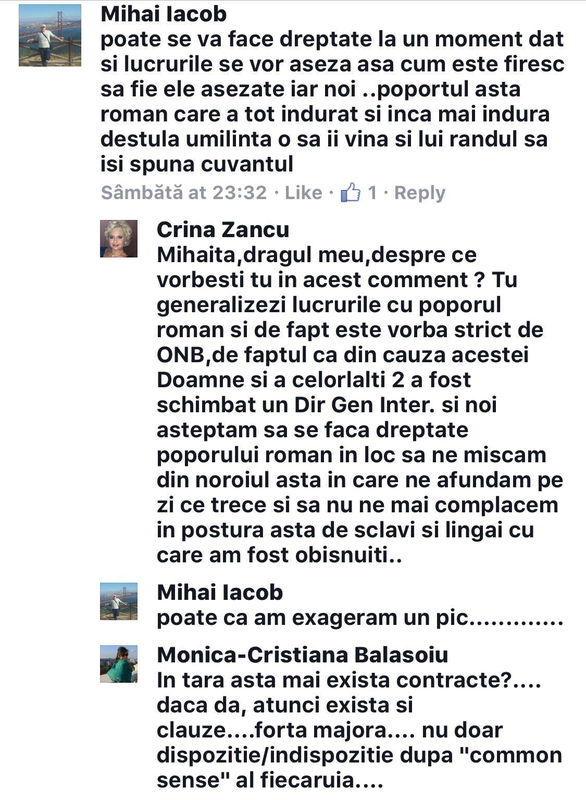 The Romanian and international media have never written about ONB as they did during these last few days. The media was not interested in a theatre that was sunk in the darkness of mediocrity. In the last years, with the arrival of Răzvan Dincă as manager, a change started, first of all in the area of opera and ballet productions. The musical mediocrity has not been solved yet, but the modernisation, as it is, has attracted the general interest. In these two weeks of cultural war, there has not been one single article favorable to Tiberiu Soare or to Vlad Alexandrescu. The entire public opinion was against them. Therefore, the two got to react only by propaganda (interviews, declarations, press releases, support demonstrations). 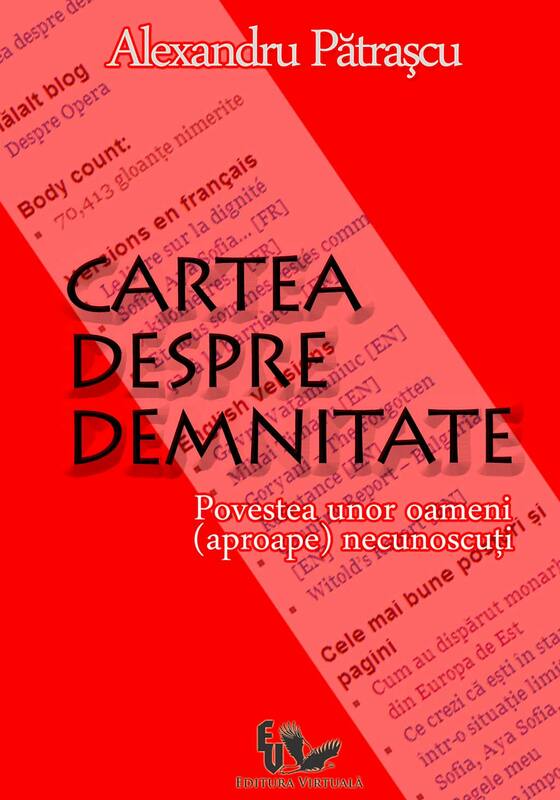 The corruption of the Romanian musical world became even more obvious as there was no reaction from no musical critic “certified” by the Union of Musicologists; they were all cynically waiting to see who was going to win. Anca Florea, Costin Popa, Dumitru Avakian, Grigore Constantinescu, all the editors from Radio România Muzical were cowardly silent. Moreover, the Radio Company stood in its own light when it instantly took and broadcast a biased so-called statement, with obvious nationalist accents, posted on FB by Angela Gheorghiu. I did not check if they had also taken the disgusting message of the former darling of the local ballet, Ileana Iliescu, a real obelisk of xenophobia. When things calm down on the surface, the critics might suddenly add deeply felt patriotic lines to this catastrophic image of self-destruction. As a follow-up to the ballet reviews they have already written, where they never forgot to mention the old Romanian productions abandoned just because of the invasion of the “stranger”. Romania is turning back to a foggy past, that of democratic confusions of the 90s. The nationalist-egalitarian rhetoric comes back to our attention in the most unexpected places: the most recent examples are Marian Munteanu running for mayor and that painful “Out of our country!” from ONB. In these circumstances, even the calls to identity cohesion, such as the public subscription for The Wisdom of the Earth, Brancusi’s statue, seem highly patriotic. This scandal resembles so much to the scandal that happened twenty years ago, when Andrei Serban was forced to leave the National Theatre. The public humiliation of the foreign artists in ONB by the local ones is unforgivable and it is a case worth being presented to the National Council for Combating Discrimination. And the wrong decisions of the Minister managed to transform the concept of “street” (crying: “Corruption kills!”) into “mob” (crying: “Out of our country!”). Vlad Alexandrescu managed badly this crisis and now, in an interview given to RFI, he throws the blame away, somehow embarrassed: “I don’t think Opera will die because of this”. Apart from the ultra-defensive cynicism of this statement, we can clearly see the change of his person, from the pro-European francophile to the indolent Romanian, so well described by the famous expression: “Either way is fine”. In just a few days, this Minister erased years of efforts and artistic progress. In his interview, he repeats eleven times “I am sorry” and “I regret”. It is redundant. 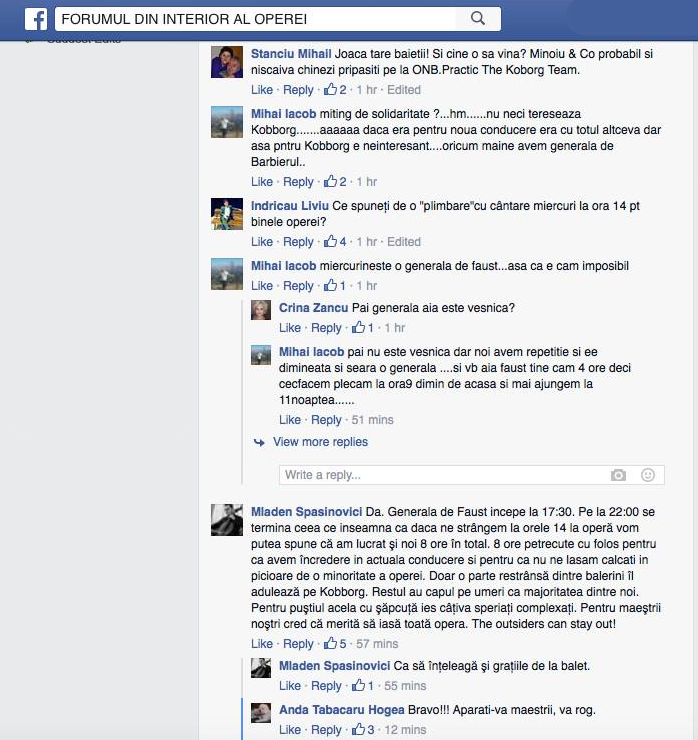 Tudor Vianu, his grand-father (NA: famous Romanian literary critic), would have slapped him. Xenophobia does not appear out of the blue. 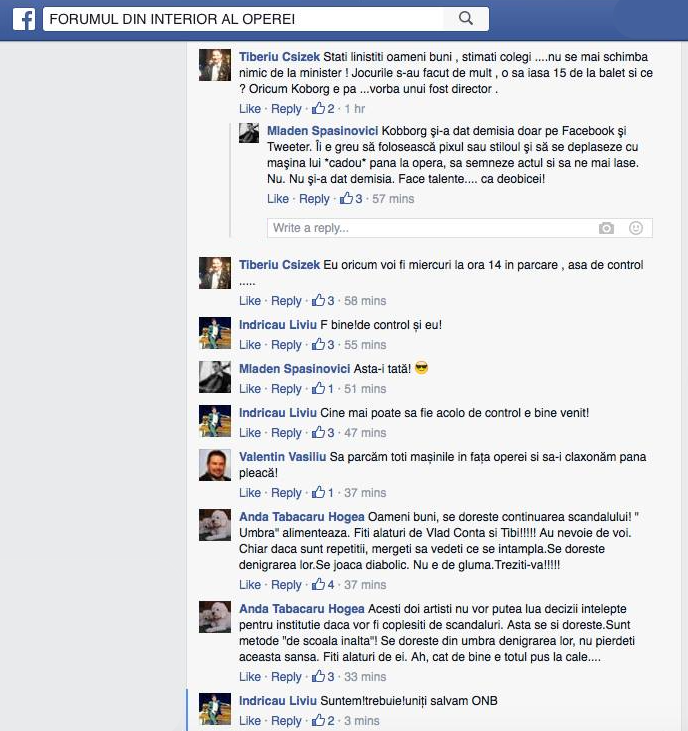 For the vast majority of the Romanian opera artists, chauvinistic speech is already a habit. And I am not talking only about ONB, but about other places in Romania, too. The proofs are numerous (and can be found even as comments on the blog) and overwhelming. They prove that this socio-professional category has lost contact with the intellectuals. The Romanian musicians of today (unlike their famous predecessors) do not count in the evolution and change of Romanian mentalities, which are the prerogative of the intellectuals. And how could they be different, when they are continuously fed by chauvinistic reviews? The placards used by the Romanian artists for their “walk” to support Tiberiu Soare look benign: “I support the honesty and the common sense for the management of ONB”, “Make music, not war!”, “The music lovers greet the management of ONB”, “Maestros Vlad Conta and Tiberiu Soare, professionalism and honesty”. The statements they made in front of the cameras contradict all this: “We must remember that ONB is a public institution, […], we cannot compare ourselves to La Scala from Milano or to the Metropolitan, where opera is treated like a business. ONB is subordinated to the Ministry of Culture and it has the saint mission to raise the cultural level of tax payers, of the people who pay these amounts of money. Our Romanian dancers have been discriminated for the last three years, they have been unscrupulously fired, they have received small salaries, ten times smaller than the foreigners” (Oana Andra, mezzo-soprano) or “In my opinion, there is no better or less good dancer. […] That contract did not exist in the staff diagram. If Tiberiu Soare had continued and had closed his eyes and had paid Johan Kobborg the same amount for a position that did not exist legally, he would have been an accomplice. He had to take the position off the chart, in a more or less elegant way.” (Irina Iordăchescu, soprano). The egalitarianism these people want for the “foreigners” is absurd. There are consultants, even in the Romanian Government, who are paid even more generous amounts than the one received by Johan Kobborg. And how do these statements match their desires to sing and make money “on the important stages of the world”? When these artists do not receive the same fees as Anna Netrebko or Jonas Kaufmann, or when, even worse, they do not win an audition, do they demonstrate in front of the Met? 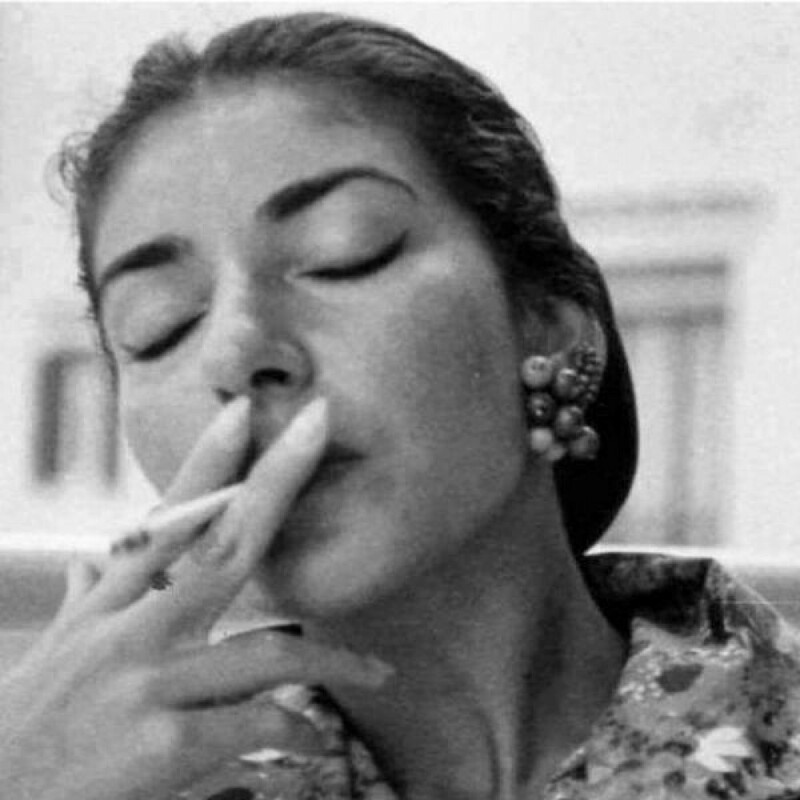 On the social networks, these “sensitive” artists, always ready to sing Va pensiero or Vissi d’arte in the national key of poverty, are absolutely cruel. 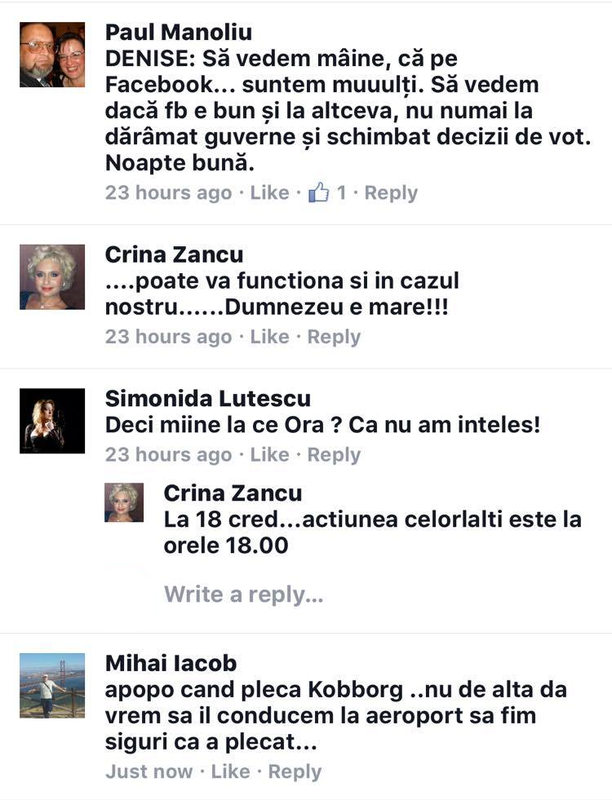 Here are some of their comments, made the day before the attack against Alina Cojocaru: it is clear that ONB was lying when saying that it had nothing to do with the booing outside. No, Mr Alexandrescu, Bucharest National Opera does not have a bright future, as you stated in the dull interview for RFI. As for the opening of this institution to the world, that you suppose will continue, well, you are contradicted by the facts, as you can see below. Resignation would save you from yourself. You have done enough harm. It is necessary to replace you with someone capable not of making up excuses while placing his protégées in ONB, but of repairing what you have destroyed. Crina Zancu, soprano: At 6 pm, I think… the action of the others is at 6 pm. Valentin Vasiliu, baritone: Let’s all park our cars in front of the Opera and blow the horns until they leave! Mladen Spasinovici, cello player: To make it clear also for those Graces from the ballet. Anda Tăbăcaru Hogea: Bravo!! Defend your maestros, please!